at first i want to express how grateful i am to the guys who’re still with us after all these years. voodoo will turn four in the end of june and it took us this long before starting to form into the shape. some of course have been loyal to the values from the very beginning and it’s one of the reasons we’re such a good team today. 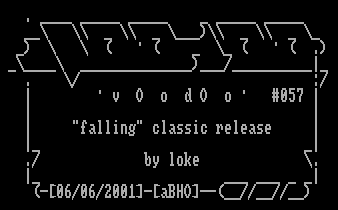 loke’s superior ‘falling’ starts a serie of classic tracks on voodoo. the idea is to pick one old track every now and then from our artists. these tracks are mostly from the former years of our artists music career, some even before they’ve teamed up with voodoo. 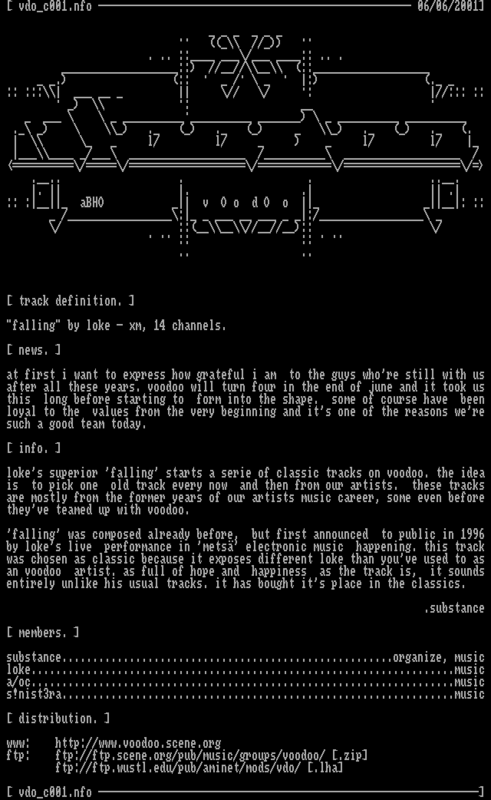 ‘falling’ was composed already before, but first announced to public in 1996 by loke’s live performance in ‘metsä’ electronic music happening. this track was chosen as classic because it exposes different loke than you’ve used to as an voodoo artist. as full of hope and happiness as the track is, it sounds entirely unlike his usual tracks.it has bought it’s place in the classics.